Carrying on from my last post, here is the second part of my Top 50 children’s books………. 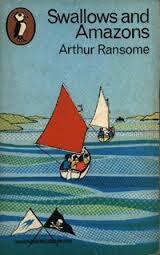 I spent most of my childhood living either in a city or a suburban town and so Ransome’s tale of dinghy sailing, camping and outdoor adventure totally appealed to me. Funnily enough, although I loved this, I never bothered reading any of the other books in the series and I can’t, for the life of me, remember why. I can’t think of anything more enticing to a child’s mind than the thought of discovering a completely new world accessible through the back of a wardrobe. Add in fauns, a witch, snow, Turkish delight (yum) and Aslan and it’s an all-time classic. I read a couple more in the series but then lost interest and this one is clearly a cut above the others. Apparently, Watership Down has been described as an allegory of the endless struggle between freedom and tyranny. I can’t say that occurred to me as a young boy; I just enjoyed it as a story with its quests, escapes and heroic battles. It’s also got a deeply poignant ending which I won’t spoil for anyone who hasn’t read it. It was made into an excellent animated film with that Art Garfunkel song. My father took me to see it and, dear reader, I might have had a moist eye or two at the end. 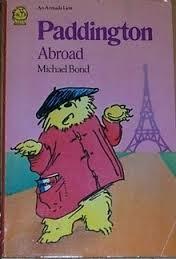 I was a big Paddington fan generally but this story of the Browns’ holiday to France and Paddington’s misadventures on the continent is the Paddington story that stood out for me, especially the cover with Paddington’s usual hat replaced by a French beret. I was much more “Team Famous Five” than “Team Secret Seven” but I did love the idea of their clubhouse and the secret password. Basically, however, I loved all those stories of Blyton’s about groups of kids solving crime and having adventures. 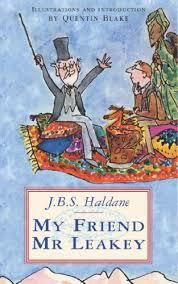 Another in Dahl’s amazing catalogue of children’s books. I was a big fan of this story of Mr Fox and his struggles to feed his family and the other underground creatures in the face of constant attack from Messrs Boggis, Bunce and Bean. The edition I had contained a brilliant illustration, showing Fox’s underground run from his burrow to the farmers’ storehouses. It’s a shame that the recent film takes liberties with the story. Mini-Falaise thoroughly enjoyed this when I read it to her. one revolved around a diving expedition to an underwater city to collect specimens and the whole underwater city really grabbed my imagination (The whole undersea thing may explain why The Spy Who Loved Me remains one of my favourite Bond movies). Some of Price’s attitudes are a bit anachronistic but I am glad to see that some of the books have been reissued - I bought two of them for my oldest nephews birthday last year. I only read some of the Mrs Pepperpot stories but they were very enjoyable. For those unaware of her, Mrs Pepperpot is a little, old lady with the unfortunate habit of sometimes shrinking to the size of a pepper pot, occasioning some inventive stories of how she escapes from the tricky situations this lands her in. Haldane is better known as a geneticist and Marxist but I first encountered him in his guise as author of this wonderful little book, containing stories about Mr Leakey, a magician, his Djin, pet dragon and servant, an octopus. The stories were really inventive (I particularly enjoyed A Meal With A Magician) and the illustrations are by Quentin Blake, always a plus point. I’m pretty sure there’s a reference to custard apples in here that really fired my imagination (I really loved custard as a child). I pestered my mother for years to find one and, when she finally did, I was most disappointed with the flavour. Anyway, I’ve bought a copy of this and am looking forward to reading it with mini-Falaise in due course. One day Barney, whilst out exploring the woodland near his house discovers a cave-boy living in a pit amongst the rubbish. Although Barney’s parents don’t believe him when he tells them about Stig, the two become friends and have lots of adventures exploring the woods. It’s brilliant and an absolute classic and I loved it. I’m now 40 per cent. through my Top 50 list and it’s turning out to be quite different to that of The Times, although there are some overlaps. Do come back tomorrow - or possibly the next day - for another instalment. I was hoping you'd be a Willard Price fan. I loved all of these books, they were a bit of an antidote to Enid Blyton, and prepared me for all the adults thrillers I devoured as a teen. Oh yes, I was a HUGE Willard Price fan! I hadn't looked at them that way but they were a kind of bridge from children's adventures into a more adult realm.